Seis Lagos is a large master-planned community in Lucas Texas just off of Southview Drive, minutes from Lavon Lake. This upscale community features great schools, good neighbors, lots of on-site amenities, and a tightknit community just minutes to local shops, restaurants, markets, and outdoor activities and entertainment. If you’ve been considering a home in Lucas Texas, let me tell you a little bit about Seis Lagos. This is a community of about 450 homes on larger lots of up to 1 acre. 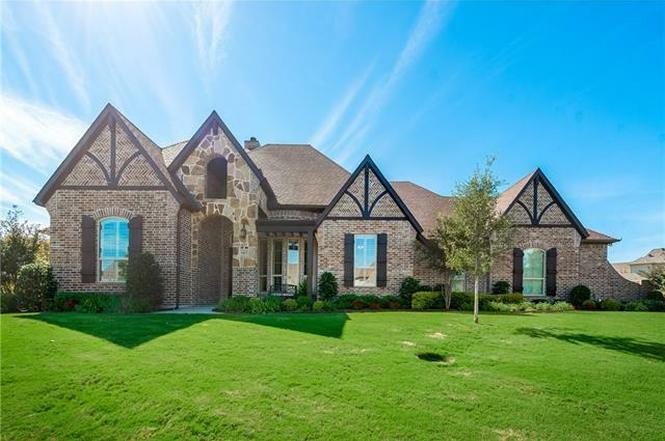 These homes are in the coveted Lovejoy and Wylie Independent School District, ranked some of the best in the country. The community itself has a 7200 square-foot clubhouse, fitness room, game rooms, a lap pool, kiddie pool, adult pool, tennis courts, playgrounds, and two lakes which feature docks and cabana. Residents love this community and if you’re considering a home in this neighborhood, let me tell you a little bit about the price ranges. At the publishing of this post, there were currently 11 properties for sale in Seis Lagos priced from $380,000-$650,000. Price ranges factor in size, condition, location, and lot size. Currently, there are 3 to 5 bedroom homes for sale with 2 1/2 to 4 bathrooms, in sizes from 2300 ft.² to 4000 ft.². Larger homes over $600,000 are likely to have over four bedrooms, over four bathrooms, and at least 3800 ft.² to 4500 ft.². Regardless of the home you choose, homeowner association fees are $120 per month. This is extremely low based on the number of amenities Seis Lagos provides. Other similar communities with just as many amenities have association fees well over $200 or more. Currently, the average square foot of a home for sale in Seis Lagos is about 3500 ft.² and the average price of a home is about $480,000. The average price per square foot is about $138. Because we are heading into the fall and winter season, they will be fewer homes on the market, however, this is good news for both buyers and sellers. Sellers won’t have a lot of competition and buyers will have a lot of competition in buying either. It’s a great time to buy and when you’re starting now at the beginning of November, chances are you’ll likely close before the end of the year, offering tax benefits to both buyer and seller. For more information browse all listings and homes for sale in Seis Lagos or contact our office to schedule a showing or listing presentation at any time. Is Lucas Texas a Good Place to Live?